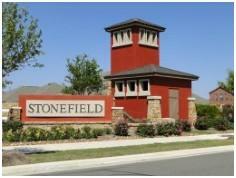 The home search below gives active MLS listings of homes for sale in Stonefield. If you find a home that interests you or have a question, call Jim at 512.913.1557. Neighborhood Location: Take IH-35 South from Austin to Exit #217. Turn left across the overpass at Windy Hill Rd./CR-131, then turn back north toward Austin on the feeder road. The neighborhoood is on the right at Stonefield Dr. The first home sale recorded in the MLS in Stonefield occurred on Nov. 16, 2007. This market report provides an overview of real estate activity in Stonefield over the last 8 years. Stonefield real estate market data from the Austin Board of Realtors, 1/1/2011 - 12/31/2018. Stonefield is being developed by Lennar Homes. As indicated above, the first home sales in Stonefield were made in late 2007. The neighborhood will have around 700 homes when all of the homes have been built. Homes built in Stonefield range from 1,308 to just over 3,400 sq. ft. When this page was updated in February 2018, Lennar offered a number of different floor plans (single-story and two-story) in 2 different model series to homebuyers. Options include different architectural elevations and home feature upgrades, with base prices from $231k to $315k and living spaces from 1,498 sq. ft. to 3,036 sq. ft. These homes have many standard features, including those that make them energy efficient (radiant barrier roof decking, ridge vents, Lo-E double-pane windows, 16-SEER A/C systems, Energy Star certification, e.g.). Interior features include 2" faux wood blinds, rounded drywall corners, 36" or 42" cabinets, and granite countertops with tile backsplash, just to mention a few. There are, of course, upgrade options for buyers who want to further personalize their homes. In early 2018, Lennar is adding a new section of homesites on the east side of the neighborhood. Stonefield homeowners enjoy a junior Olympic-sized pool, a playground for the kids, a 14-acre park hike & bike trails, and a dog park. Membership in the Stonefield HOA is required. HOA fees are collected for maintaining the common areas of the community. Stonefield is located conveniently near some major shopping areas both north and south of the subdivision. These include Cabela's outdoor sporting goods store in Buda, major retail stores (like Wal-Mart and Target), restaurants and fast-food stores, and the Southpark Meadows center in South Austin and the outlet centers in San Marcos. Golfers can test their skills at several nearby public courses. 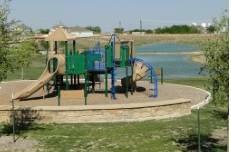 The City of Buda has a several public parks available for family fun. Golfers can play at a number of area courses, including the nearby Plum Creek Golf course. Hays County, the Hays CISD and the South Buda WCID #1 are the primary taxing entities. Students living in the Stonefield subdivision attend schools of the Hays Consolidated Independent School District. Parents should verify the current school assignments with the Hays CISD since school attendance zones are occasionally redrawn.